The computer application GIASOR allows for the management of the daily dynamic green recycling bin collection circuits, guaranteeing that collection is made at the moment the bin reaches a user-defined filling level. GIASOR operates at the company Amarsul since February of 2013. This has increased the efficiency of the service, also reducing personnel and fuel costs associated with the garbage collection of bins in different lines of green recycling bins. The GIASOR project was developed by ATTCEI in cooperation with the company AMARSUL – Valorização e Tratamento de Resíduos Sólidos S.A. AMARSUL is the company responsible for managing the Multimunicipal System for Valuation and Treatment of Solid Waste in the Southern Margin of Tejo. 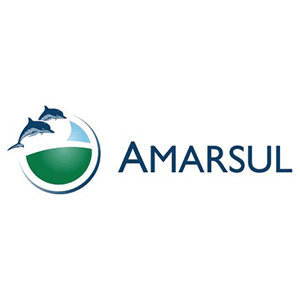 The company AMARSUL has been an Honorary Partner of ATTCEI since 4/01/2012. In the GIASOR application, the filling data collected daily from the bins by AMARSUL is fed to algorithms developed in the context of the SIGRSAMARSUL to estimate the filling level of the green recycling bins. (information concerning the SIGRSAMARSUL project is present on this very page). In the development of the GIASOR application, ATTCEI’s know-how was used in the areas of waste management, statistics, mathematical modelling, computer science and information systems.